Facebook subsidiary VR company Oculus hired former Hulu Senior Vice President Eugene Wei to manage its video services. Eugene Wei once worked for Flipboard as product chef before he joined Oculus. In the late of 90s, Eugene Wei had worked for Amazon for 7 years. In fact, Eugene Wei has been working for Oculus since the last November according to the source of LinkedIn. However, Eugene Wei has just corrected his position information recently. He upgraded his Twitter profile and made out his current position as well. VC investor Hunter Walk foundthe change of Eugene’sprofile. Hunter Walk posted the message concerning Eugene Wei’s profile changes. So far, Oculus’s spokesman confirmed Eugene Wei’s post. 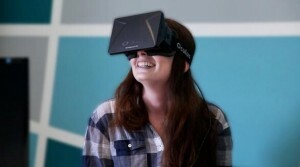 Facebook pays close attention to video services business and its VR business. Actually, Facebook starts promoting the 360 View contents through News Feed on social networking sites. In addition to this, Facebook even creates some specified VR contents by using its Oculus Story Studio office. Facebook CEO Mark Zuckerberg implies regularly that he believes the VR technology could be the next most qualified consumption platform. Therefore, it is significant to obtain the Oculus video business. The newest source indicated that Eugene Wei is reponsible for creating the new platform in Oculus video team. The new platform will be used to store the VR content and 360 View content. Eugene Wei and his team will focus on the developing of 360 View content which is the mainstream content Facebook will promote. Tom Stocky is an employee of Facebook. He is working on the Facebook Search Engine Project now. There are over 1.5 billion searches on Facebook per day, but most of then focus on names. Last October, Facebook opened its all pubic profiles search. Stocky’ s team is in charge of launching this new feature to calculate the ranks of billions of news. Stocky said what we really want to do is turning Facebook as a communicated website that collects all new things from all over the world. Will Facebook be the next Google or Twitter? It means a lot to social networking if Facebook adds a handy search tool on it. Once the users know that their posted messages are pubic, they might go to edit the privacy immediately. Some users might posting more messages to attract more attentions. Facebook has a great amount of users. So, it is more likely to have the news internationally there. Facebook hired some search engineers from its rival two years ago. Like the other companines do, Facebook starts from Indexing to do Search Engine. Anyone who posts a blog on Faceboook, the messages will be scanned for key words. Girish Kumar, the former officer of Microsoft Bing is the chief of Facebook Search project. 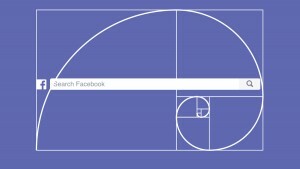 To simplify and precise the Facebook search, it will make sure all contents upgrade instantly. Each of photo, video, link, share, like and comment will be displayed in our Indexing. It keeps modifying its search results. It hired hundreds of testers to search the the interest things on social networking platforms to improve the program. Stocky hopes Facebook search would make some changes for the current situation among the social networking platforms. HP Inc claimed that the company is speeding up the process of reorganization. By the end of 2016 fiscal year, it will lay off 3,000 employees. It announced to streamline 3,000 employees in three years last September. It will complete this mission in advanced. The former Hewlett Packard claimed that it would cut about 33,300 jobs in three years last September. HP Inc would cut 3,300 jobs and another a new company after the breakup would lay off 30,000 employees. HP Inc claimed then it would lay off 1,200 employees by the end of 2016. The company implied that this reorganization will help to save $300 million expenses. Shannon Cross, the analyst from Cross Research stated that the reason for HP accelerates the reorganization plan is that it faces much heat competition from price. It focuses on the launching of its own product lines. According to the fiscal report released by HP Incon Wednesday, its current quarterly revenue was $12.2 billion due to the slack market of PC and Printer business, declined by 12% (YOY). Its first quarterly performance met the market prediction. Its share price increased lightly after hours. PC system department received a 13% of decrease for first quarterly net revenue, while printer department declined by 17%. The worldwide PC sales suffered decline in current years. Windows 10 launched by Microsoft could not help a lot for the slack situation in PC market. 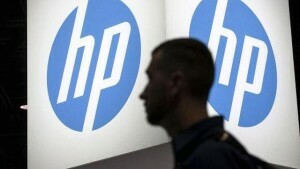 HP In share price declined lightly in after -hours trading at $10.75 on Wednesday. Its share accumulated declined by over 13% since the breakup of business since last November. SFist revealed that US social gaming company Zynga plans to sell its headquarter building which locates in San Francisco. Until now, it has 2,300 employees. It decreased one-third employees than its peak. It means that Zynga doesn’t need so much space for work. Its headquarter building was acquired at $ 228 million. Sega America set down its headquarter there. The building gets the capital appreciation due to the real estate development in San Francisco. Zynga confirmed the news that it would sell its headquarter building and claimed that it mentioned this proposal at Q4 earning report meeting. The company will rent some offices for work at this building then. The company is still discussing the effective solutions now. Zynga was established in 2007. Its business was extended to European and American areas due to the rise of Facebook games. Its IPO market value reached $ 9 billion by the end of 2011. However, it was in a dilemma since then. It turned its business into mobile games. The users of Facebook games decreased gradually. To speed up the transition, CEO Mark Pincus hired ex EA and Microsoft officer Don Mattrick to innovate the business. He dismissed the former Zynga management group and acquired NaturalMotion at $527 million. It turned out that the transition was difficult and Don Mattrick left Zynga in April, 2015. In the past three quarters, Zynga performance did better and and made both ends meet. Overall, it is still in a deficit situation due to the former invested losses. Its current market value is $1.9 billion and the investors get more patience for its transition. Inmoni Insights did a survey concerning mobile app developer income. 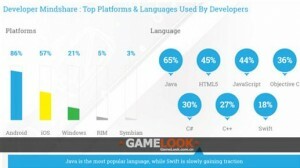 The statistics showed that Android is the prefered platform for developers. The survey interviewed 1,000 developers, it turned out that 86% of interviewees prefer Android platform. 57% of them prefer iOS and only 21% of interviewees chose Windows Phone. Inmonbi claimed that mobile revolution and usage rate of smartphone are the motives to stimulate the development of mobile app market. To developers, this market is largeand high competitive. They have to keep modifying their works for substainable innovation.” The launch of mobile apps is an emerging industry. 75% of developers are with under 3 years’ working experience in this field. 55% of inteviewees only earned $1,000 each month. The average income of mobile apps is $6,000.The independent developers earned average income at $1,500. One third developers’ app downloads are under 10,000 in their districts. Only 15% of developers claimed the downloads of games are over one million in the world. Gartner predicted that enterprise mobile apps will be in short supply by the end of this year. Each employee uses average 3 devices in the working place nowadays. This number will be increased with the development of internet. Facebook is the preferred social network in many countries around the world. In Japan, more Japanese preferred Twitter that featured by 140 characters. 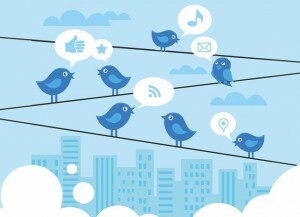 Quoting from the confirmed source, Twitter users is about 10 million larger than Facebook’s. By the end of 2015, Twitter obtained 35 million monly activate users, while Facebook only had 25 million monthly active users then. ” Our users increased by four times in a short time in Japan,” said Shailesh Rao, vice president for Asia Pacific, Latin America and emerging markets of Twitter. In 2011, Japanese users of Twitter was under 7 million. In the meanwhile, Twitter users decreased by one million in Q4 2015. It seems that Facebook and Twitter are not rivals, however, these two social networking giants are busy fighting for more Advertising business. According to the latest letter that Twitter sent to its shareholders, the international mareket accounted for 35% of Twitter’s total revenue. This 35% revenue valued at $247 million which increased by 51% over the previous year. It is important to both Twitter and Facebook to explore oversea markets. But they have to compete with Japense social networking giant Line. Twitter and Facebook both need to keep upgrading their services. Until now, Line has 50 million monthly active users which accounts for 40% of the total Japanese population. Apple Pay was officially introduced to China. There are many famous e-commerce website signed contracts with Apple Pay to develop business, including traveling industry, catering industry and entertainment industry. They announced to support Apple Pay from Feb 18. China becomes the first country in Asia and the fifth one around the world to support Apple Pay business.Only US, UK, Australia and Canada support Apple Pay business before Feb. 18, 2016. Apple Pay business is developing well. In comparison with Google Wallet, it received fewer positive feedback from the public even though it shares similar features with Apple Pay. According to the statistics, Google made high-profile announcement for Google Wallet in May, 2011. It indeed attracted some attention. 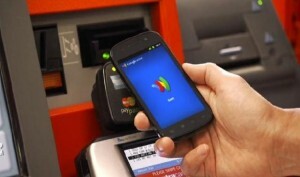 Google Wallet also applies the NFC technology. It failed as it was lack of dominant right to Industry Chain. The industry chain involves in Google, telecom operators, mobile manufacturers, credit card companies, banks and chain merchants. The operators made difficult negotiations in the past few years. Google Wallet did not get much improvement for getting more operators. Only Sprint supports Google Wallet, while Verizon, AT&T, T-Mobile teamed up to launch Isis payment platform. Walmart and Target are also working on the launch of similar apps. Back to Apple Pay, it did not attract as many consumers as it predicted to use Apple Pay in US. Kantar investigated that over 75% of iPhone 6 &6 Plus consumers don’t use Apple Pay by April,2015. Other survey indicated that only 42% of consumers use Apple Pay at App Stores. 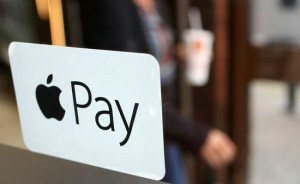 According to the survey made by First Annapolis, only 20 % of 580 interviewees use at least once Apple Pay each month. Apple Pay teamed up with 19 Chinese banks to promote this business here. Let’s see how far it goes. Are VAIO, Toshiba and Fujitsu merged into a new PC giant? According to the Japanese media report, Japan might welcome a new PC giant. 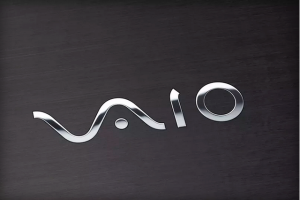 The PC company VAIO which is split off from Sony plans to integrate business with Toshiba and Fujitsu to rival NEC. It is not clear the new company title and product details. “This merger agreement is supposed to release at the end of March,” said Hidemi Moue, CEO of Japan Industrial Partners. In the meanwhile, Toshiba confirmed that it won’t quit PC computer industry. In last December, Toshiba suffered the accounting scandal and the difficulties in electronics department. Toshiba cut 7,800 jobs last year. Toshiba announced that it would consider the cooperation with third-party company then. It implied to team up with other PC computer manufacturers. The merger agreement among VAIO, Toshiba and Fujitsu will drive more mergers in PC computer industry. The top three PC computer manufacturers HP, Dell and Lenovo are working hard to control their PC computer business in this industry. The mergers between small manufacturers will intensify the competition in the PC computer industry. Microsoft offered $ 2 billion load to Dell in 2013 to help it realized the privatization. Microsoft also teamed up with Intel, HP, Dell and Lenovo to enhance the marketing promotion for PC computers. All the PC manufacturers worked hard to persuade consumers to purchase new PC when Microsoft offered free upgrade to Windows 10 from the existing system. The public has been concerning when Apple Pay comes to China. Guangdong Development Bank and China Construction Bank announced that Apple Pay will be debuted at 5am on Feb. 18. These two banks are the first ones to announce the support of Apple Pay among 19 banks. Apple added other four banks into the cooperation besides 15 banks it confirmed before. Apple Pay was introduced to American market in October, 2014 as Apple’ mobile payment app. It was introduced to UK in July, 2015, Australia in November, 2015. China is the fifth country that supports Apple Pay. In addition, Apple announced that it will introduce Apple Pay to Hong Kong, Singapore and Spain later this year. Apple confirmed in last December that Apple Pay would be debuted in mainland China in 2016 with the cooperation of China Union Pay. It did not announce the exactly release then. According to the online reveals, Minsheng Bank started training work for Apple Pay in last year and confirmed it to be debuted in Feburary. With Apple Pay, consumers can load the debit card or credit card on iPhone, Apple Watch and iPad. Consumers can avail of Apple Pay to pay offline on POS or online App store. There were two videos posted on YouTube showing how to use Apple Pay. It requires Touch ID verification for using Union Pay card to pay. We will see how it works in mainland market. Apple once planned to launch the internet live broadcast television channels service. It assumed to charge consumers $40 per month to watch 40 tv channels via internet STB, plus the VOD. This project has been reporting by the medium for a long time. However, it is progress did not work well. Some media reported that Apple gave up such plan. In the internet market, the online filmed entertainment services come as internet VOD ( Netflix and YouTube) and internet live broadcast of television channels(Sony and Dish). Sony charged at least $50 to obtain 50 tv channels. Obviously, more and more young people cancel the cable tv service. But the live broadcast channels still attract a crowd of people. Les Moonves, the CEO of CBS claimed that the company had not made any negotiations with Apple concerned the internet tv service when he was interviewed. He suggested that the company received offers from other companies for the cooperation of television streaming live broadcast service. 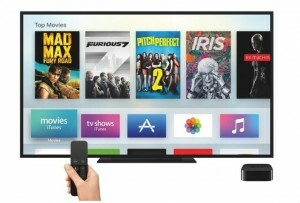 TheNextWeb assumed that Apple might have given up the internet tv service project. CBS is the most popular television stations in US. It owns many well-known channels. Any manufactuers who offer internet tv service must be authorized by CBS’ channels and shows. Apple has great ambitious to explore in internet tv service, including the popular television stations and channels. Apple wishes to be offered favarable licensing fee by CBS. The negotiation failed as they did not come up with a deal. Until now, Apple iOS devices reach over 1.1 billion units around the world. Apple plans to launch the digital content service so that it could make profit from such service. Apple launched Apple Music which charges $10 per month from consumers. It is reasonable that it would offer television live broadcast channels service. It will face much pressure if Apple explores the internet tv service as the consumers could watch some live broadcasting or VOD shows via CBS CPE or other CPE.